We are a Japanese-style hot spring inn located deep in the mountains of Takamine Highland, Nagano Prefecture, at an altitude of 2000m. 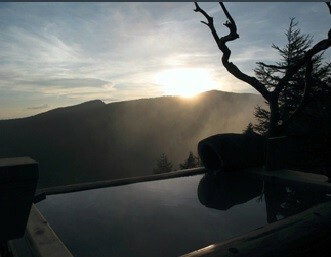 Please come to the mountains and enjoy a hot spring bath high above the clouds. You will marvel at the wonderful natural scenery. Our staff aim to deliver the best service to all our guests. 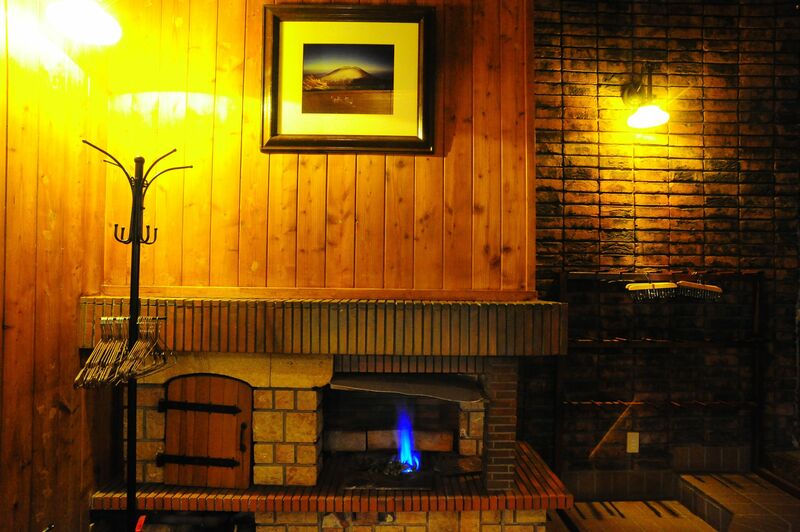 Even though we are in the mountains where things are not all that convenient, we try our best to make you feel at home and ensure you a most pleasant stay. Inquire the online travel agent. Quick & Quality Customer Care. We offer both indoor and outdoor hot spring baths. 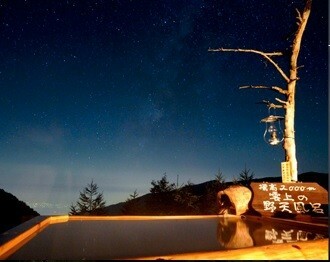 Our hot spring water comes from Asama Mountains. The indoor baths are comfortable cypress baths. They provide a great view of the mountains. Our open-air bath is a small bath for up to 4 guests. Taking a hot spring bath in the fresh air high up in the mountains with a splendid view of nature promises an unforgettable experience. Open to lodging guests only. Our hot spring water comes from the Takamine Valley. It helps cure diseases and improve health. We provide drinkable hot spring water at the drink corner. Please help yourself with a cup of onsen water anytime. -JR Bus departs from Sakudaira Sta. at 8:35AM (leaves Komoro Sta. at 8:52AM) and 1:22PM (leaves Komoro Sta. at 1:45PM) daily. Taking a direct express highway bus from Shinjuku is one of the most convenient way to come from downtown Tokyo. There is a bus leaving Shinjuku at 10:35AM and arriving our hotel or nearby hotel at 2:30PM everyday. To go back to Tokyo, take a bus leaving the hotel at 4:17PM and arriving Shinjuku at 8:17PM everyday. There are a few car rental outlets around JR Sakudaira Station where you can come by Nagano/Hokuriku Shinkansen. The cost is from about 7000JPY to 10000JPY per 24hours. Don't forget to bring your international driving license, passport and credit card with you. Copyright (C) Takamine Onsen. All Rights Reserved.